OK, has anyone else been keeping up with all the documentaries that scare the bejeezus out of you on Netflix? It’s the beginning of the new year so I guess everyone is trying to get back on track in terms of health, etc so my Netflix queue is chock full of scary food and health documentaries, which of course I can’t help but watch. In all of this running around, I feel like fall is slipping away. I’ve been so focused on Halloween, birthdays and Thanksgiving coming up, I’ve forgotten all about the best part of fall! Apples! I gotta say I miss apple picking in New York State. The crisp fall air, the sound of the shaking branches and the sweet crunchy apples that made their way into everything for fall. 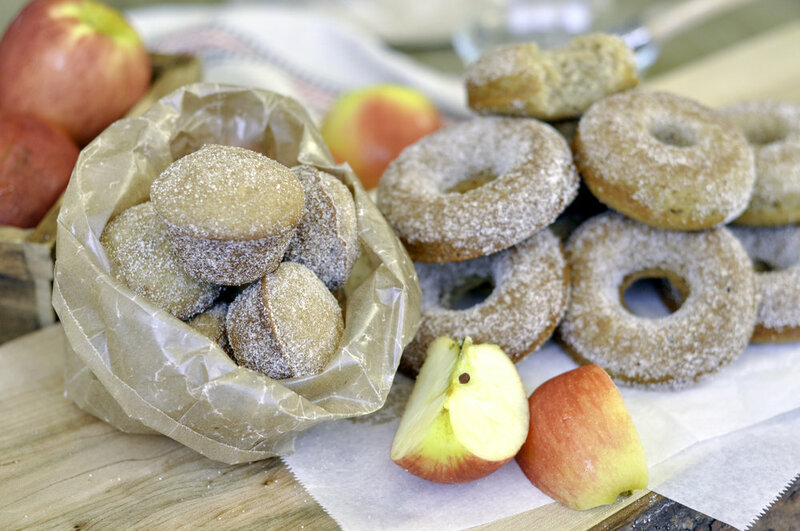 So in memory of our forgotten fall apples, I’m making these Boiled Apple Cider Donuts!